Mediation among political, business and academic cultures where we promote language, relationships and interests integration on socially relevant issues. 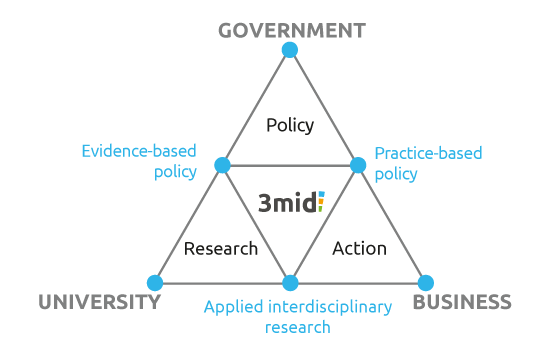 Interdisciplinary research as a strategy to achieve evidence-based and pragmatic policies that follow the principles of cost-effectiveness, equity and prevention simultaneously. Triangulation as an integrating principle across disciplines, techniques and research to tackle complex social problems. Client projects where we collaborate in creating equitable, cost-effective and preventive policies through social research; specifically in the exploration, conceptualization and evaluation phases. Dubitare projects seeking innovation in interdisciplinary research to address the most relevant social problems in the field of health and wellbeing. Dubitare works with European institutions that share an interest in social research and social determinants of health, among which are several universities and research institutes. Among our partners you can also find data analysis providers that support both our methodology and training programs.